St Botolph's Church Chevening is shown in the engraved view top left. 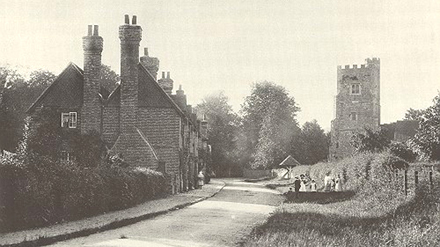 The photo top right dates from the 1890's and the picture below shows the church present day. There has been a church on this site for over 875 years. 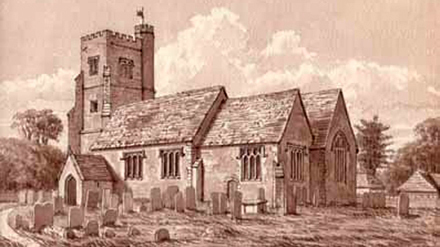 St Botolph's Church was mentioned in a document noting the payment of Easter dues to the Diocese of Rochester. The Textus Roffensis (1122-23) refers to the parish of Civilinga - the Anglo-Saxon name for the parish now known as Chevening. The stained glass windows are all 20th century except for the window in the south aisle. This window depicting St Martin of Tours was painted and stained in 1872, but was not placed in the church until 28 years later. It is in memory of the Rector's son who was killed in action in 1900 during the South African war. The Church has many parts that date to the many changes made through the centuries. As can be seen in our photo it is a beautiful church set in lovely countryside Emily 45 and her daughter Alice 17 couldn't have found a better place to end their days. There many gravestones but made of local poor quality stone and are indecipherable.